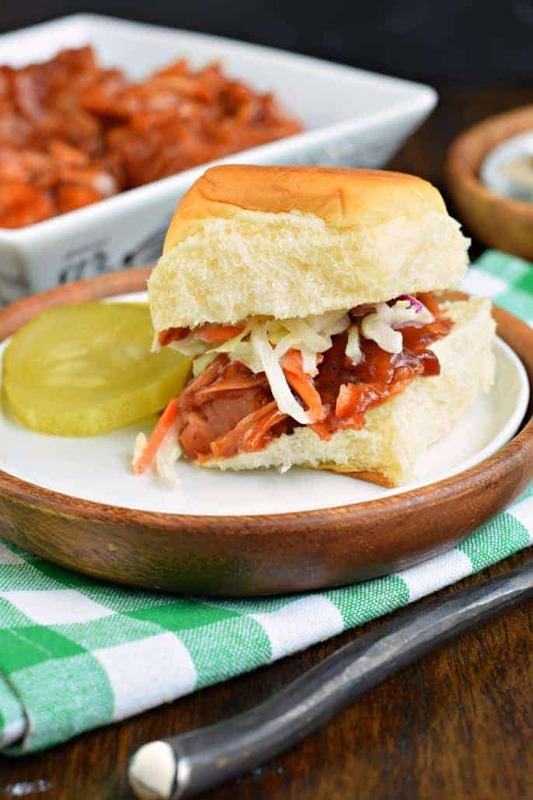 Wondering how to use jackfruit to make the most delicious BBQ Jackfruit Sliders and learn why this food is so trendy?? It’s all about the texture and flavor of this vegetarian dish! Before I get to everything you need to know about jackfruit…I have a confession. My youngest daughter recently became a vegetarian and in an effort to help support her and her journey, I’ve decided to do the same. Well, actually, I’ve decided to be pescatarian. Which is a person who eats no meat, except fish. Because, yo…I can’t give up fish tacos! So, what does that mean for Shugary Sweets??? Will you still find Chicken, Beef and Pork dinner ideas? Or BACON??? Absolutely. I still have a carnivorous husband, and 3 other children who eat meat…so I’ll still be making food for the family. 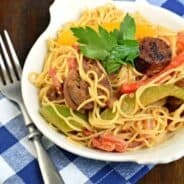 And while I may not be the one eating those meaty meals, you can be sure I’ll only share recipes that pass the family test! 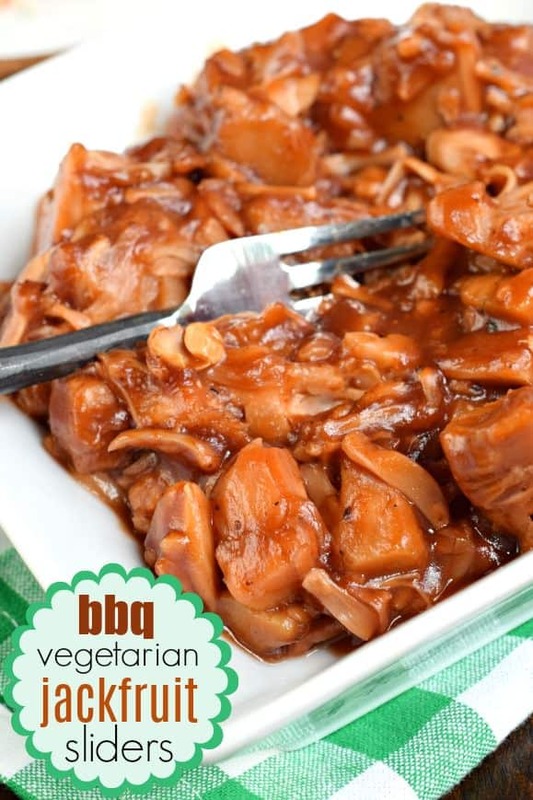 In my quest though to find some vegetarian dinner ideas…I came across Jackfruit. Such a trendy fruit right now! You may have spotted this GIANT fresh fruit in your local grocery store. You know, the ugly one! Well, from what I’ve learned it’s common to find this fruit in South Asia, only we Americans have just recently jumped on board in accepting it’s delicious use in our vegan and vegetarian meals! You see, if you cook the jackfruit it shreds, much like a pulled chicken or pork! And the young green jackfruit takes on the flavor of the seasonings and marinades that you add. One of my favorite dinners is BBQ Pulled Pork. It’s so easy to make and delicious too! And it’s one of those meals that I thought I’d miss terribly. Until now. Because today’s BBQ Jackfruit Sliders really deliver. 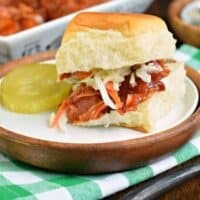 They have great flavor and while the jackfruit is a little softer in texture than pork, visually your mind tricks you into believing you’re eating pulled pork. And once you put that “meat” on a bun with some of my favorite Chick-fil-A Cole Slaw, you won’t even notice the change in texture! I can’t wait to try using jackfruit in new vegetarian meals soon!!! I have yet to use a fresh jackfruit, so I have bought the canned stuff from Amazon here. My grocery store carries the pouches of jackfruit in our refrigerated vegan section, and I’m anxious to test those out! I used the jackfruit in water, but it’s also sold in brine. I can’t attest to how that tastes…so if you’re just starting out, I can tell you the jackfruit in water worked for us! Drain the jackfruit, it was cut already in large chunks/slices. Lay it in the bottom of my slow cooker and seasoned them with salt, pepper, and garlic. I added my favorite bbq sauce (about 1 1/2 cups) and cooked it on low for 5 hours. SHRED. We found that the smaller the pieces, the better the flavor. Take two forks and break it up into small shreds. Serve just as you would pulled pork or pulled chicken. 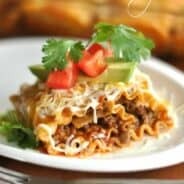 Leftovers would be great on a quesadilla with cheese! 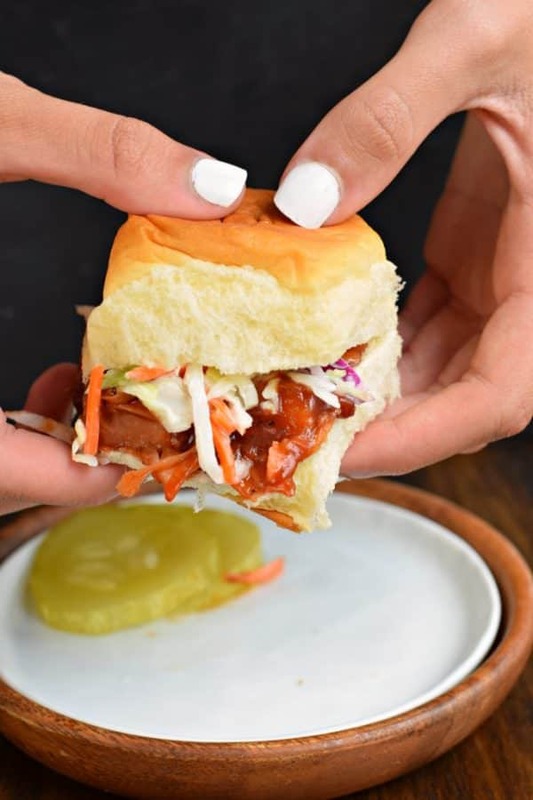 Wondering how to use jackfruit to make the most delicious BBQ Jackfruit Sliders and learn why this food is so trendy?? It's all about the texture and flavor of this vegetarian dish! Drain canned jackfruit completely. 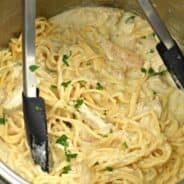 Place pieces in bottom of slow cooker. Sprinkle with salt, pepper, and garlic. Top with bbq sauce. SHRED with two forks, the smaller the pieces the better. 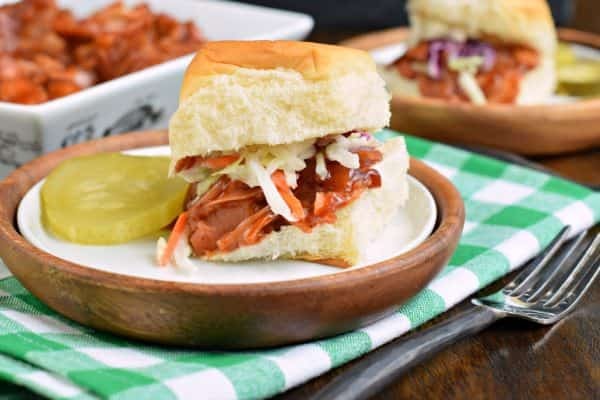 Serve on sweet hawaiian rolls (or buns) and add a big spoonful of cole slaw, if desired (my favorite cole slaw recipe).